Price per Clochan per night. 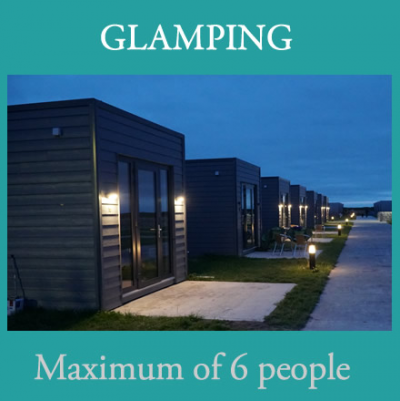 All Clochans are equipped with, kitchen facilities (kettle, microwave, small fridge, dishware and cutlery), shower and toilet, one double bed, one single sofa-bed with one single pull-out bed. Bed linen and towels are included in the price! It accommodates up to 4 people. Terms and Conditions apply. Price per Tigín per night. 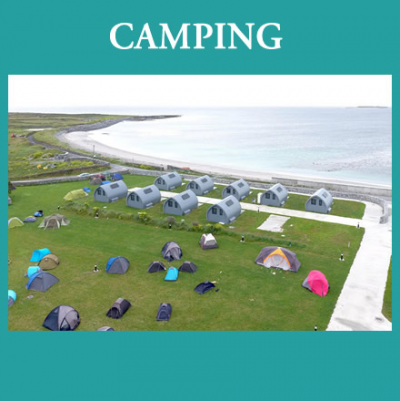 All Tigín's are equipped with; kitchen facilities (coffee machine, microwave, small fridge, dishware and cutlery), shower room and toilet room, 4 single beds, 1 single sofa-bed with 1 single pull-out bed. Bed linen and towels are included in the price. 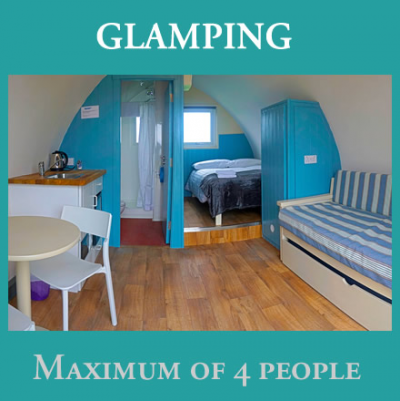 Accommodates up to 6 people. Terms and Conditions apply. - Custom handmade rock walls creating a secure enclosure. - 2 entrance ways, access to the beach which is directly adjacent to the Campsite. - Laundry facilities, and newly completed shower building with separate men’s and women’s shower rooms ( small extra cost if used). - A large kitchen equipped with electric cookers, fridges, kettles, toasters, all dishware, cutlery, pots and pans, where large groups can cook and eat together. Terms and Conditions apply. Price; €10 per person per night.